A large programme of health policy and health services research has been established within the Sociology group, involving multi-disciplinary teams of researchers, collaboration across academic institutions, strong links with NHS constituencies, the use of extensive health service, public health and related datasets, and a range of quantitative and qualitative research methods. Members have strong international links with colleagues in Europe, USA, Canada, and Australia. Funders include the European Regional Development Fund, the Australian Research Council, the Department of Health, and the National Institute for Health Research. Additionally, a range of funded projects examining issues of well-being and social inclusion are taking place in Devon and Cornwall and involve close collaboration with local organisations and industry. Professor Rod Sheaff – health policy and its implementation, international health systems, organisational structures, policy outcomes, NHS. A resource for those interested in collaborative/participatory and creative/arts-based approaches to research. This web based resource originates from an interdisciplinary research residential funded by the ISRF, held during week commencing 21 August 2017. It brings together community arts-based practice, criminology, social research and sociology to interrogate and yield new insights into the processes, practicalities and realities of adopting participatory styles of research with vulnerable, marginalised and/or hard-to-reach groups, with a particular focus on offenders. The benefits of participatory styles of research for engaging marginalised groups are relatively under explored outside of education. Moreover, there has been a recent resurgence in interest in participatory approaches, particularly in health research, party motivated by an explicit requirement by funding bodies (in the United Kingdom at least) for public and patient involvement (PPI) (Cook 2012). A recently completed multidisciplinary project funded by the Sustainable Earth Institute examining public awareness of microbeads in cosmetics. Led by colleagues in Sociology at the University of Plymouth in conjunction with colleagues in Psychology, Nursing and Marine Science and Engineering. Funded by the Australian Research Council, this project examines patient activism and new media. It is led by Professor Alan Petersen (Monash University, Australia), and includes co-investigators at the University of Plymouth and University of Alberta, Canada. Further information can be found on the Monash University website. European Regional Development Fund supported research to develop an evaluation matrix to explore how and why digital health interventions make a difference to older people living with frailty and complex needs. This study examines the relationship between public service funding and equity. Finding a significant 'postcode lottery' with respect to what you get, for similar needs, depending on where you live, the project explores the extent to which supposedly 'technical' formulae are promoting equal access for equal needs. Funded by the European Regional Development Fund, the eHealth Productivity and Innovation in Cornwall and the Isles of Scilly (EPIC) project is led by the University of Plymouth in collaboration with many partners. Its aim is to identify where and how e-Health, digital, robotic and related technologies might usefully be employed in health and social care. This project involves researching experiences (through interviews and autobiographical accounts) of ‘whistleblowers’ - individuals who have raised issues of concern within an organisation, even though this may have brought negative consequences for themselves. The interest in this area connects themes of secrecy and power and the tools of the ‘Freedom of information Act’. A book project (to be published by Palgrave Macmillan in 2018) that builds on the ‘whistleblowing’ theme, and particularly centres on political, legal, and moral tensions between a ‘right to know’ versus a ‘right to privacy’. The project develops a better understanding of support available to people with dementia, and where there may be gaps, and engages Plymouth City Council, University of Plymouth, and other partners. LandWorks is an independent charity that offers prisoners and those at risk of going to prison (trainees), the chance to develop a bespoke resettlement plan, that incorporates training, skills development and confidence building. The PeN project allows trainees to tell their stories in their own words, illustrated through the photographs they take to record their time at LandWorks, and enables the community to engage with the trainees through a blog and other social media, “critically giving trainees a voice, one that is otherwise unheard, the voice of an ‘offender’ talking to the community they have hurt” (LandWorks project manager). A project that evaluates the contribution of allotment gardening to health and wellbeing of local communities. Recently completed research supported by Sociology of Health and Illness Foundation (SHI), examining ‘commensality’ (eating together) as a tool for health, well-being, social inclusion and community resilience. The Government's response to the Francis Report (which investigated care safety problems at the Mid-Staffordshire NHS hospital) included establishing 15 Patient Safety Collaboratives (PSC) across England during 2015-2020. This study, funded by the Department of Health Policy Research Programme, is evaluating the progress of the PSCs in the first three years to determine what difference they are making and how their impact can be maximised in the remainder of the programme. The number of people with long-term (chronic) illnesses, often more than one at once, is rising. Because health and social care budgets are tight, the NHS has to find ways to give lower cost but still high-quality care for people with those illnesses. For these purposes, ‘multispecialty community providers’ (MCPs) have been proposed as a new model of care bringing together health services and social care services to provide care closer to people’s homes and when they safely can keep people out of hospitals. NHS-funded services are provided by an increasingly diversely-owned organisations: corporate, ‘not-for-profit’, proprietary, cooperative, professional partnerships, NHS trusts, social enterprises. This study, funded by the Department of Health and Social Care Policy Research Programme, examined the effects of diverse provider ownership on patient experience, innovation and health policy implementation (e.g. cost reduction, service ‘integration’). We found that non-NHS providers were tending to become more often corporate and financialised. Regulations and quality standards encouraged convergent behaviour among differently-owned providers. Differently-owned providers had divergent top-level organisational structures but similar coordination structures at workplace level. Innovation was largely policy led. Technical innovation tended to emerge from NHS trusts, service delivery innovations from providers of all ownerships. Providers with private patients differentiated services for them from services for NHS patients. 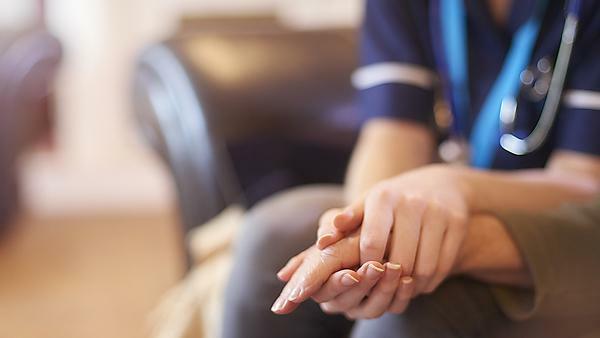 Patients found the ambience of secondary care in non-NHS providers – and in CHS services, irrespective of ownership – very different to that in NHS acute trusts. The difference reflected case-mix not ownership.